Which pages are visited most often and information paths in order to determine the best information to carry on the website for your assistance. These records carry no personal identifying information. Any other information collected from visitors is clearly marked as to purpose and will only be used for the purpose collected. As you browse Getyourselfonline.co.nz, advertising cookies will be placed on your computer so that we can understand what you are interested in. Our display advertising partner, AdRoll, then enables us to present you with retargeting advertising on other sites based on your previous interaction with Getyourselfonline.co.nz. The techniques our partners employ do not collect personal information such as your name, email address, postal address or telephone number. You can visit this page to opt out of AdRoll and their partners’ targeted advertising. The information contained in this website is provided by the .nz Registry Service and Domain Name Commission for information purposes. We endeavour to keep the information up-to-date and correct. Through this website you are able to link to other websites. 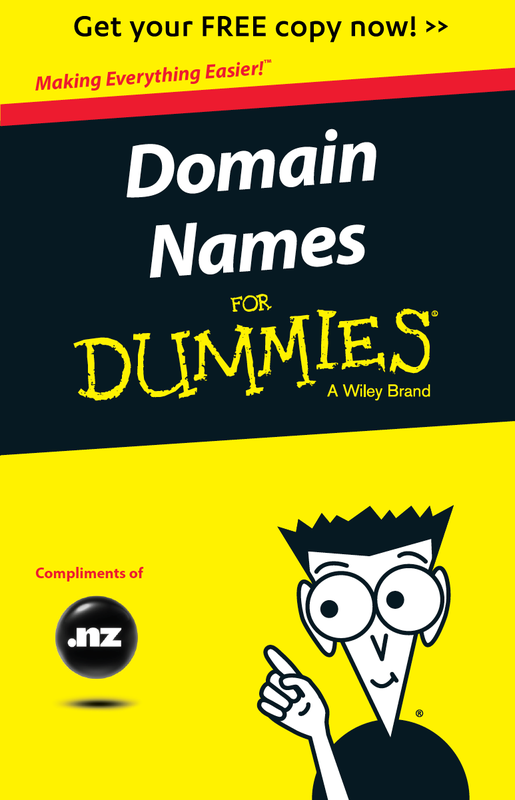 Neither the .nz Registry Service nor Domain Name Commission have control over the nature, content and availability of those sites, and the inclusion of any links does not necessarily imply a recommendation or endorse the views expressed within them. Except as otherwise specified, all content on this website is the copyright of .nz Registry Services (Internet New Zealand Incorporated) and is licenced under a Creative Commons Attribution 3.0 New Zealand Licence. In essence, you are free to copy, distribute and adapt the work (including commercial use of the work), as long as you attribute the work to www.getyourselfonline.co.nz and abide by the other licence terms. Permissions beyond the scope of this license may be requested at http://www.getyourselfonline.co.nz/contact-us.